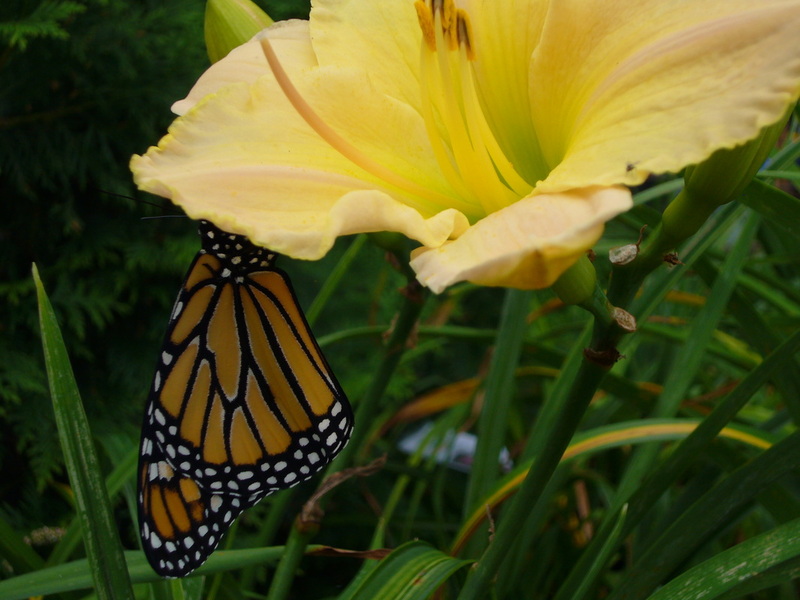 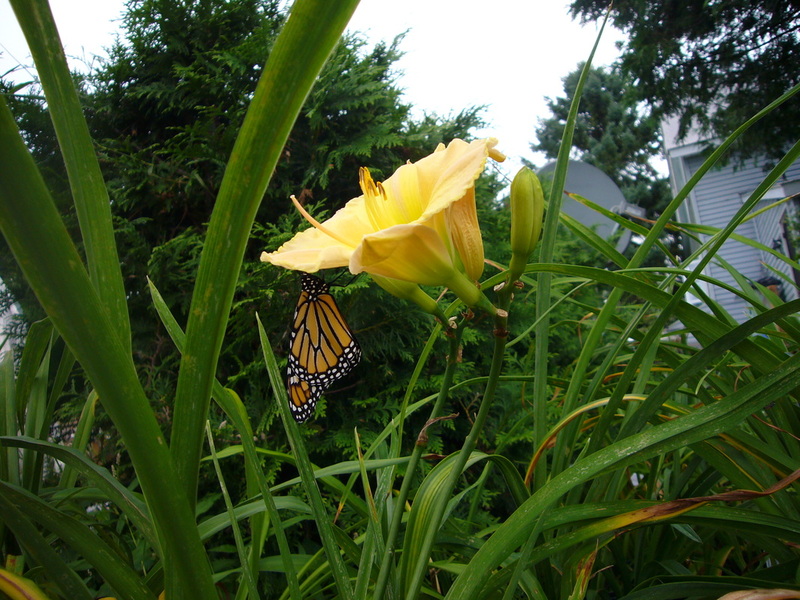 Earthbound Gardens is proud to be a Monarch Way Station. 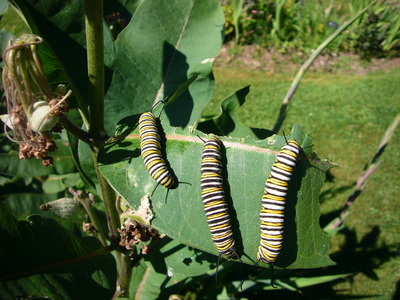 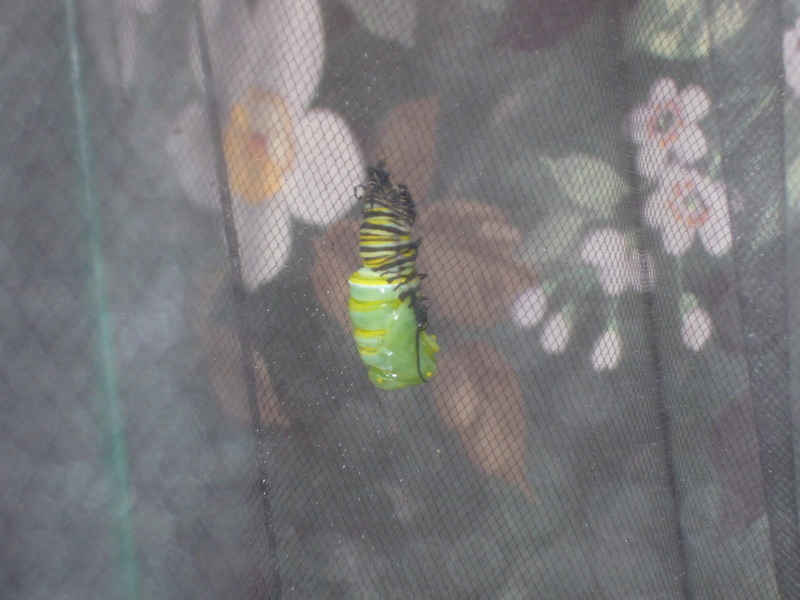 These pictures show a glimpse of the habitat that we have created to encourage the survival of monarch butterflies. 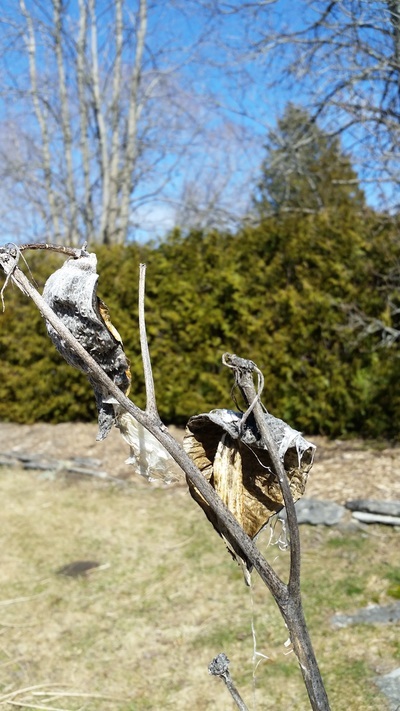 In addition to choosing a wide variety of both host plants and nectar plants, we are diligent in our efforts to encourage gardeners to consider leaving a little wild milkweed in their gardens. 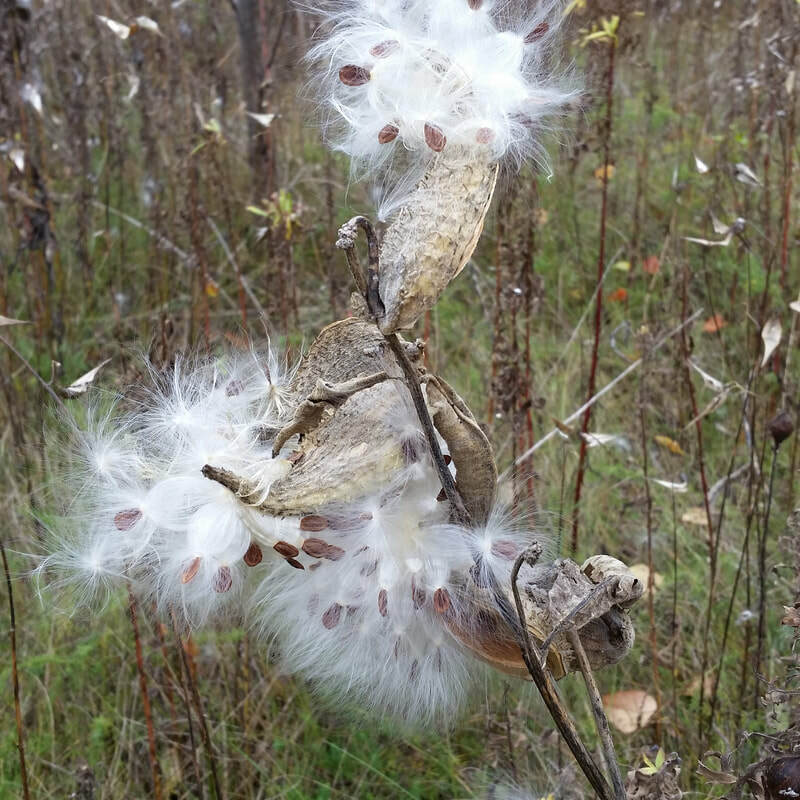 Wild milkweed doesn't get weeded our of any gardens at Earthbound. We also have added stands of ​asclepias tuberosa ​ (Butterfly Weed) and ​asclepias incarnate ​(Swamp Milkweed) in stands around the property. As a result we are witness to the whole life cycle of monarchs. All of these pictures have been take around our gardens. 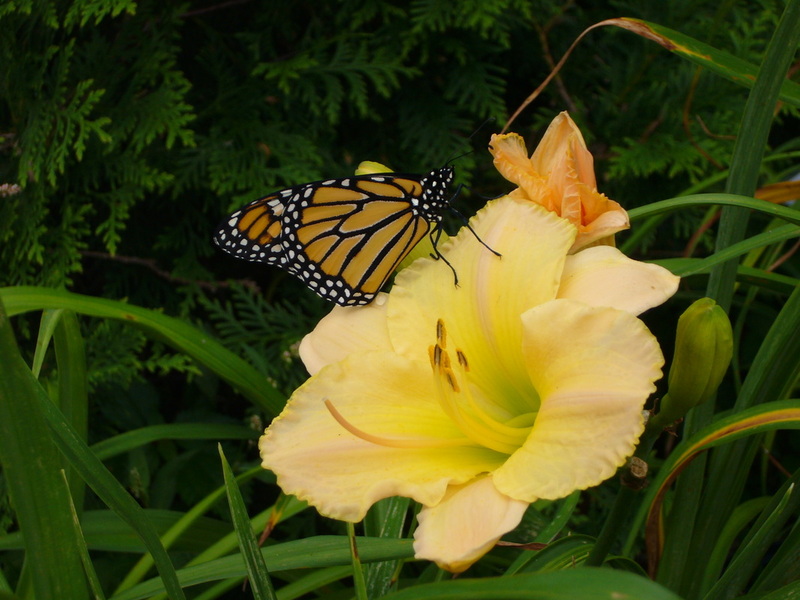 We take real delight in the number of folks who return many times in a season to chart, photograph and observe a host of butterflies and moths that drift over the fields and gardens.